A BCD (buoyancy compensator or buoyancy control device) or stab jacket is one of the three key pieces of equipment that make up the basic scuba equipment. When you learn to dive, it will probably be in a jacket-style BCD. These have an air pocket that goes along the back and under your arms. This style can make for a more comfortable surface swim as the air under your arms keeps you upright. However, once underwater, a wing (where the air pocket is only on the back) can help with your positioning. I’ve been diving with a wing for the last few years and am probably going to continue with this style. 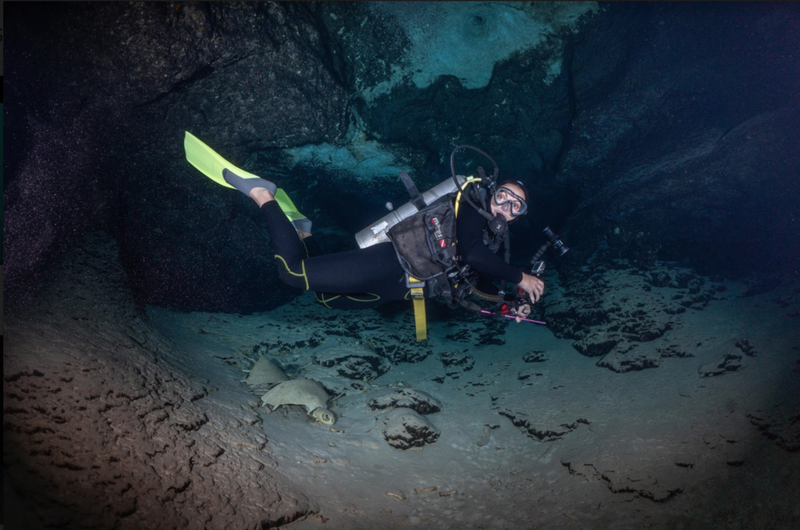 So things to think about when making your decision - What's your local dive site? Are you doing many surface swims? If you are planning to teach then maybe think about what your students will use as a similar one to them will help. If you're teaching or leading inexperienced divers, you may need pockets for extra weight or teaching aids…but wings and travel BCD’s often don’t have pockets! You may have pockets on your wetsuit or be able to wear tech shorts for additional pocket space but this is not ideal for heavier items. My current wing has a single roll-out pocket and there have been times when I have been frustrated at the lack of space such as when picking up rubbish, so pockets is definitely a feature I am looking for in my new BCD. Many BCD’s have integrated weight pockets. You likely learnt with a weight belt…well, moving to integrated pockets is such a joy! I used to come back from dive trips with terrible bruises on my hips from a weight belt. Soft weight pockets helped but I've anecdotally heard that some dive boats don't like them in case of them bursting and spilling the lead everywhere. Now, having used an integrated weight, I never want to go back! On a jacket-style BCD, an integrated weight pocket can also assist with keeping the BCD in a comfortable position, i.e. not floating up under your arms. The main thing to check is the quick release catch on the weight pockets; make sure to have a read online reviews to check the brand you want doesn’t have any known issues with them. I’ve had issues with weight pockets dropping out on entry which is very frustrating. On research, it appears that this was a common issue with that particular pocket catch. That brand has now changed their catch but it’s something I will now always look out for. Most brands have women-specific BCD’s that may fit your spine length better. Make sure to try it on and see if you can even rent or borrow one to try. I used a small size in Malaysia recently and after a few dives I found it rubbed on my neck. While this wasn't a problem for a short time, I will be looking to avoid it when purchasing my own. Try it on for as long as you can, check you can find / reach buckles, pockets and valves, think about what kind of suit you will be wearing underneath and make sure there is space to fit it (I need one that will work with everything from 3mm to a drysuit). Some dive shops will let you pay in instalments so it’s definitely worth having the conversation to see if your local shop offers this. Or maybe you prefer to just purchase your BCD outright. Or maybe it suits you better to keep hiring. If you are planning to take your BCD travelling then weight will be an issue. Most brands now have a travel version; these tend to have less of the bells and whistles and so will take up less of your check-in weight. Many dives will have a single cost whether you are using their gear or not whilst others offer a discount if you bring your own gear. Check this before packing as we’ve found that sometimes, travelling with gear has been more trouble than it is worth! If gear is included in the package and online reviews suggests it is well looked after, then we tend to leave our BCD’s at home. You are advised to have your dive gear serviced annually. It’s worth checking what this will cost as different brands have different costs for their service kit. My partner, Duncan, got his gear as part of a deal where he gets free parts for life and only pays for the cost of labour so long as he gets it serviced strictly every 12 months. This saves us about $200 a year. And that’s it! If you have any recommendations on favourite brands or additional factors to consider, please leave a comment below.